This page gives a high-level overview of the available Ground Control Stations (GCS) and provides links so you can make the appropriate choice. 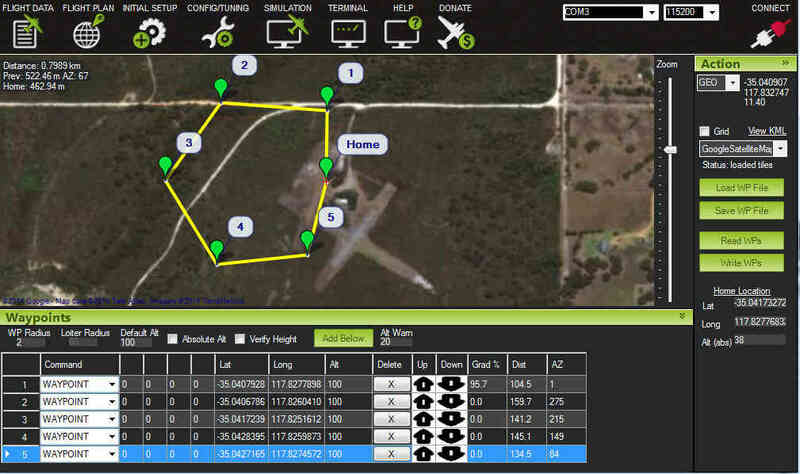 A ground station is typically a software application, running on a ground-based computer, that communicates with your UAV via wireless telemetry. It displays real-time data on the UAVs performance and position and can serve as a “virtual cockpit”, showing many of the same instruments that you would have if you were flying a real plane. 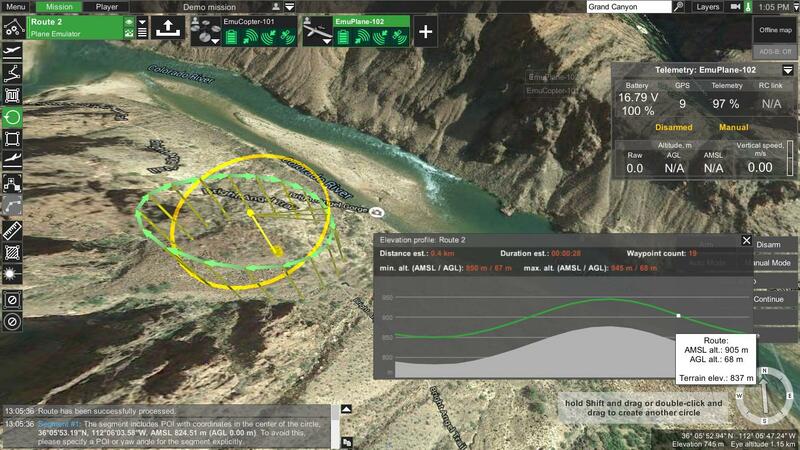 A GCS can also be used to control a UAV in flight, uploading new mission commands and setting parameters. It is often also used to monitor the live video streams from a UAV’s cameras. There are at least ten different ground control stations. On desktop there is (Mission Planner, APM Planner 2, MAVProxy, QGroundControl and UgCS. For Tablet/Smartphone there is Tower (DroidPlanner 3), MAVPilot, AndroPilot and SidePilot that can be used to communicate with ArduPilot (i.e. Copter, Plane, Rover, AntennaTracker). 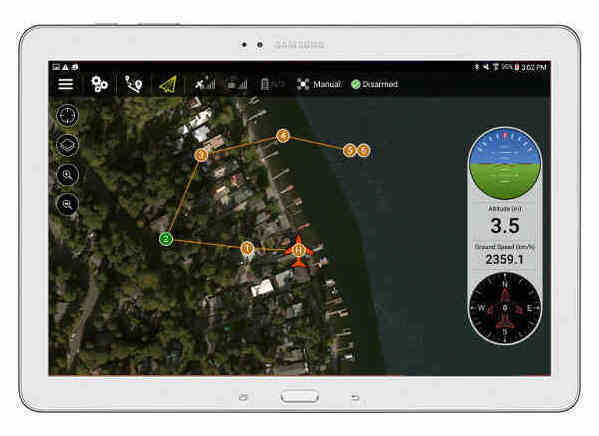 Ready-to-fly users may prefer the portability and ease of use of Tower (Droid Planner 3), or another GCS running on a tablet or phone. DIY/Kit users and developers often have to access configuration and analysis tools, and would therefore need (at least initially) Mission Planner, APM Planner 2 or another more full-featured GCS. This wiki primarily refers to set-up and configuration using the Mission Planner, because it was created first and is the most full-featured GCS. Full featured and widely used GCS. The best autopilot for use on MAC and Linux platforms. It has a smaller user base and a reduced feature set when compared with Mission Planner. 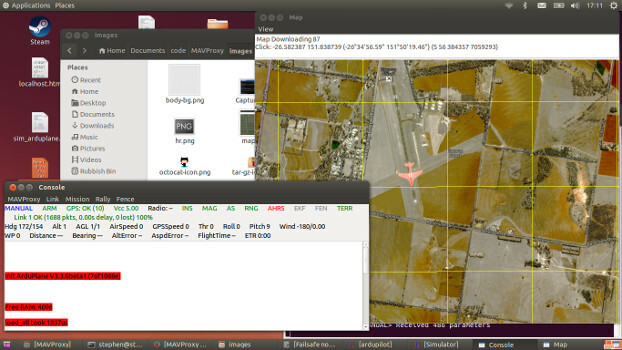 Linux GCS often used by Plane developers. Primarily a command line interface with graphical modules for map and mission editing. Written in Python, and extensible via python modules. 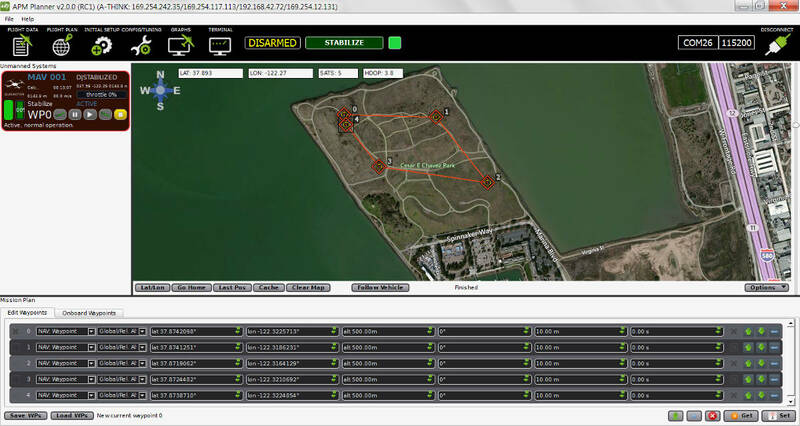 QGroundControl work with MAVLink capable autopilots including ArduPilot. Its unique among the GCS offerings as it runs on all platforms desktop and mobile. Universal and easy to use ground control station with a 3D interface. Supports APM, Pixhawk as well as drones from other manufacturers such as DJI, Mikrokopter and more. Intended for enthusiasts as well as professional users. It is capable of communicating with and controlling multiple drones simultaneously. UgCS supports multiple map layers as well as different map providers. Some of the features of UgCS include - DEM Import, ADS-B transponder and receiver support, Click & Go mode, Joystick mode, image geotagging and video recording. UgCS also comes with a telemetry player, allowing the replay of all flights. UgCS comes with in-built no-fly zones around all major airports as well as the ability to create custom no-fly zones. Supports multi-node installation, meaning that it is possible to connect multiple pilots with UgCS laptops in the field to a central ground control server. Tower (a.k.a. “DroidPlanner 3”) is an Android GCS for phones and tablets. 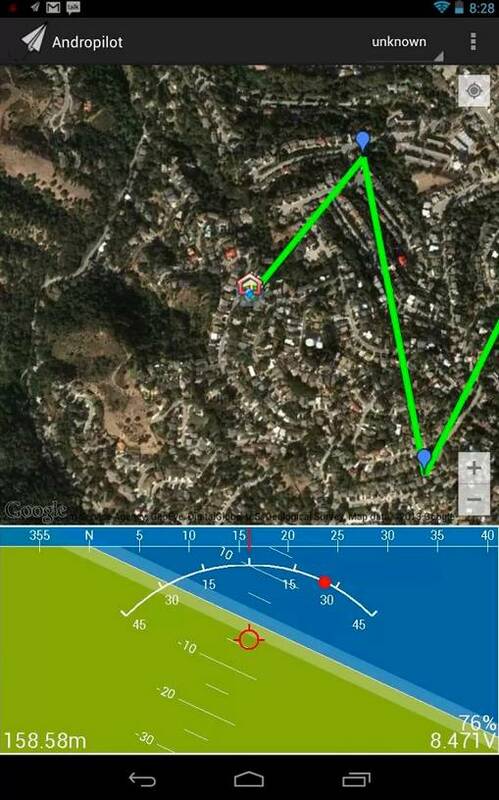 It is intended for end users and enthusiasts, and includes features like follow-me, “dronies” (i.e. “selfies” but taken with a drone) and special missions for 3D mapping. 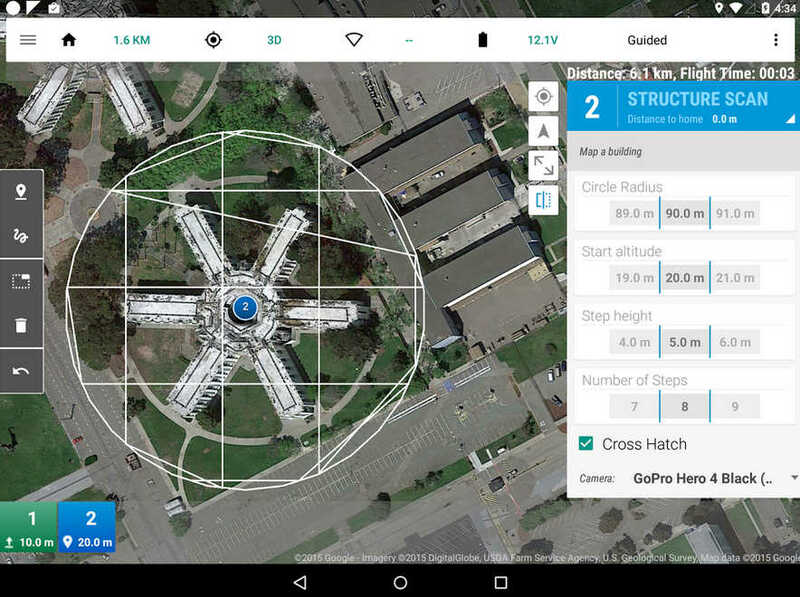 Download Tower (and 3DR Services) from Google Play. Legacy versions (DroidPlanner 2 and Droid Planner 1) can also be downloaded from Google Play. 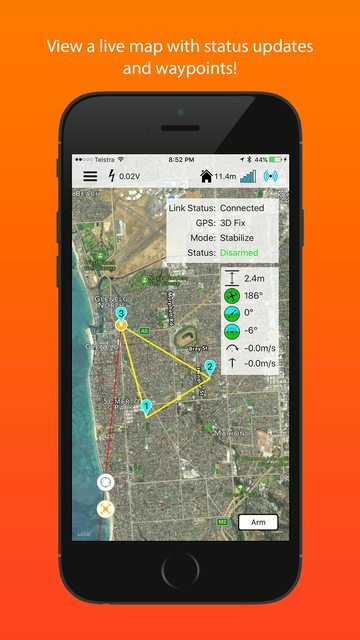 ArduPilot compatible GCS that runs on iPhone/iPad. Android GCS intended for enthusiasts. AndroPilot is not under active development. Its suitability for newer FW needs to be confirmed. Android based tablet that can act as a USB host. Google Nexus tablets are recommended, and the compatible hardware lists for the different GCSs are listed in the table above. SiK Telemetry Radio System or similar (915 Mhz for US, 433 for Europe) which includes the bidirectional ground and air telemetry units. USB OTG cable (typically less than $2 on ebay and Amazon). iOS Based device such as an iPad or iPhone. 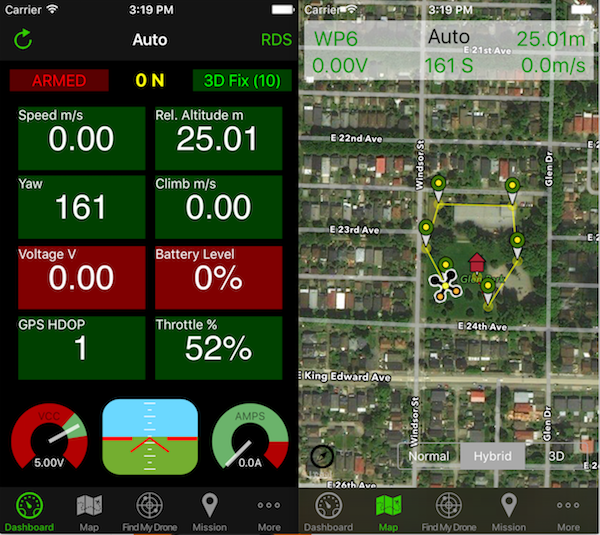 If running iPad, the cellular version is recommended for better GPS support. See iOS App Vendors for more details.